Before you book your tickets to head off and enjoy a wonderful vacation, how about taking a very different path and doing something other than the typical touristy things? Instead of choosing a chilled out, relaxing holiday, how about spending this breaktime to learn something new? If you are wondering how, there are a places in India where you could enjoy and learn and gain knowledge in the best way possible. It can be surfing in Gokarna or pottery in Jaipur, your vacation will for sure stay with you for a lifetime. Not just because they are renowned for their scenic beauty, but also because you could learn something new from these places. Have a look at these places and definitely head to one of them. Renowned to be one of the most breathtaking and capturing destinations in the country, Gulmarg is a valley that one must visit to master the art of skiing. This adventure sport originated in the Swiss Alps but can also be done in our very own majestic Himalayas. The place has quite a number of clubs which offer a crash course for about a week which would bring out the skier in you. The snow-covered mountains and the ability to ski through them is something that not meant for everyone, but if you happen to be on the lucky side, grab your skiing equipment and never let go. Jaipur, fondly called the Pink City, is all about handicrafts which would take us back in time to our traditional roots of handmade vessels. If you happen to be in this beautiful city, make it a point to enroll yourself in one those quick pottery classes once you are done tasting all the yummy Rajasthani delicacies. These sessions would not be more than about an hour or two and at the end you will have for yourself some beautiful pottery which are your own creations. Scuba diving may tend to look scary and daunting but it actually helps you become fearless. It is both a skill and an achievement, both of which you can flaunt. It is a skill which makes you a lifesaver. If our celebrities can do it, so can you. Head straight to the scenic islands of Andaman and Nicobar and plunge into the ocean and make new friends underwater. Surfing is another sport which was brought to India by the foreign nationals and is becoming popular in our lands as well. Gokarna is considered as one of the best destinations for the same. One can undergo surfing classes and hit the waves and become a professional surfer. After which one can chill at the beach and relish some mouthwatering seafood. One can find rappelling camps in almost every city across the country, but if you are looking forward to a true experience and want to learn this sport, without a second thought head straight to the Himalayas. Mussoorie is home to quite a number of mountaineering schools which teach skills such as rock climbing, rappelling, rescue operations and many other exciting sports. The classes are for 4 days and are also suitable for an entire family. 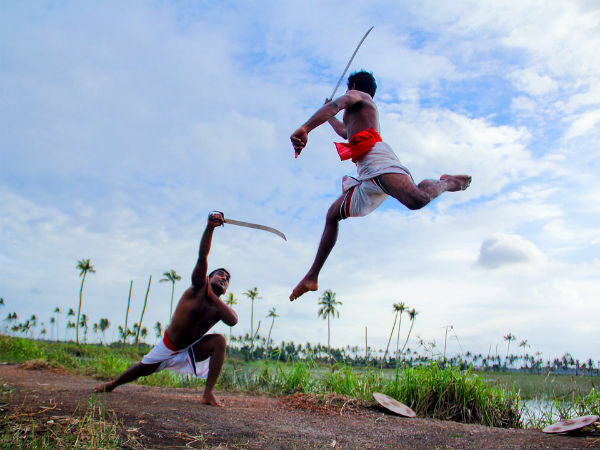 Kalaripayyattu is the traditional martial art form which takes its birth in God's Own Country. The art form is considered as the oldest and most scientific of its nature in the world. This form of art will help you sharpen your defense skills and strength. The training of this art form is given at traditional training schools known as Kalari.